For this year's maple sugaring, we have mostly been using a propane cook stove. 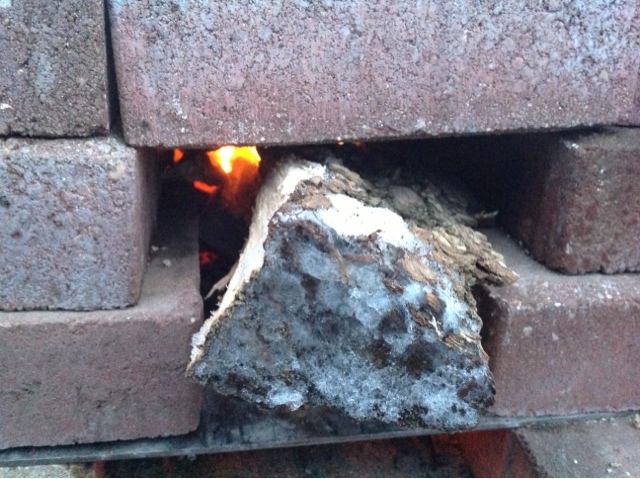 Neal made a small "rocket stove" like fire with bricks surrounding the area to trap the heat. It worked better than our evaporator up north for sure. 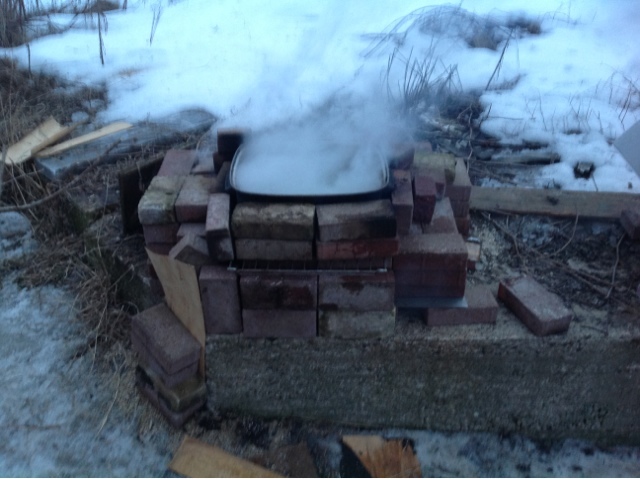 This year Neal and a neighbor will work on building a real maple syrup evaporator rocket stove. The idea is that rocket stoves are designed to be ultra efficient and use a tiny amount of fuel. Woo hoo! 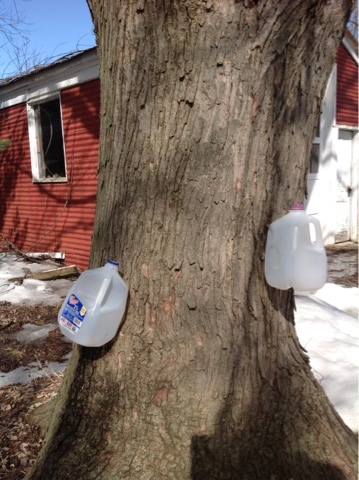 Yesterday I collected ten gallons of maple sap at the farm. Today is nice and sunny so I think it will be another good day once the temperature gets above freezing. I'm guessing we have 36 gallons of sap in the 55 gallon drum so we are just thrilled. 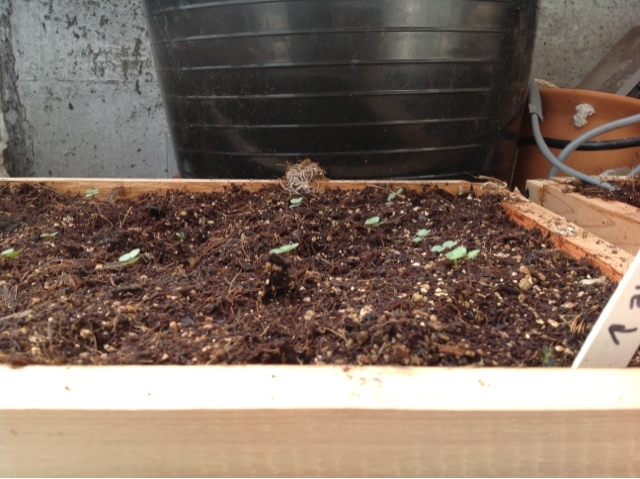 I can't remember if I have mentioned this on the blog yet (and am too lazy to double check right now), but I am participating in an herbal apprenticeship with Linda Conroy of Moonwise Herbs. 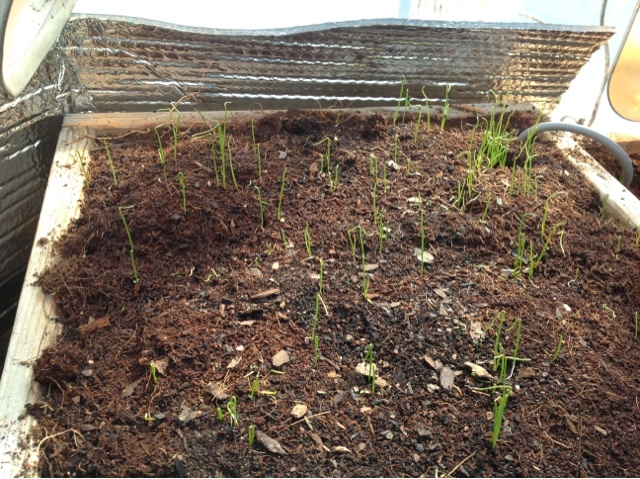 So far I'm loving learning about the plants as the seasons change. I'm reading "full moon feast" by Jessica Prentice and am loving the ties she makes to the lunar cycles. We are currently in what is considered the sap moon in this region.... How fun to have our yearly maple project tied to the lunar cycle. Last months as considered the Hunger Moon in many cultures because its the last moon before signs of spring (and fresh food) return. We will be discussing some of ideas from the Hunger Moon chapter with the folks from Casa Maria in a couple weeks. I apologize for fewer pics and no captions this week. I can't figure out how to deal with them on the blogger iPad app. If anyone knows the work around... Let me know. Oh also can't figure out how to do nice clean links here with the app so we are back to having the whole clunky address visible.